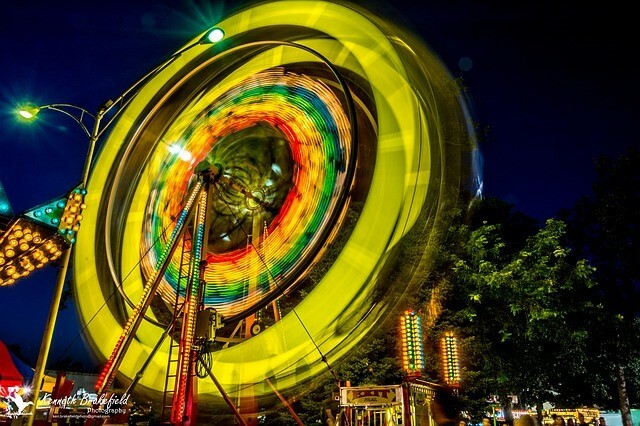 Tucson’s most anticipated annual event is just around the corner – the Pima County Fair! Remember to mark your calendars from April 16th to 26th because the fair is here to provide one-of-a-kind entertainment for the whole family. Over the course of 11 days, this event attracts approximately 250,000 visitors from across the country. From amazing shows and wild rides to lively bands and, of course, sumptuous food – the 2015 Pima County Fair is a fully-loaded-package of pure fun! Carnival: This carnival is split into The Kiddie Land Carnival and The Tuscon Weekly Carnival. While the former focuses on child-friendly entertainment, the latter is sure to boost your adrenaline levels. With approximately 60 rides and 50 games, you and your family can enjoy endless hours of entertainment at the carnival. It’s also sure to satisfy your taste buds with delicious food you can only find at a classic carnival such as this. The ticketless ‘FunPass’ makes it easy to ride all the rides without any hassle of bringing cash. Daily Events: There is no place for boredom at the Pima County Fair. Every day of the event is filled with action. For animal lovers, there is the Bird Show and the Sea Lion Slash. For those fascinated by automobiles, there is the Door Slammers Car Club Show. Those interested in food and drinks have grills and ‘Beerfest’ awaiting them. Events such as ‘Words Hurt’, where children sign pledges against bullying and the Military Appreciation Day give more depth to the fair than coming for pure entertainment. Concerts: Concerts are a fundamental part of the Pima County Fair. The celebrity attractions this year include renowned artists like David Nail, and Switchfoot among many other. For a full list check out the concerts page on their website. Horse Shows: Horse shows have been an inherent part of the fair for the last 25 years. Winners get recognized in the form of ribbons, trophies and exorbitant cash prices. The Cantina Bar and Grill offers its services throughout the night events too in case you get hungry or thirsty. Knowing the fair hours and admission fee will allow you to come prepared, so that you don’t miss a single event. Don’t miss out on the Pima County Fair if you’re looking for fun things to do for the whole family in Tucson!